Lynn Morgenson, Bismarck Parks and Recreation District (BPRD) Landscape Specialist, was honored with a Tree Award by the North Dakota Forest Service. The Tree Awards recognize individuals, organizations and agencies who contribute to forestry activities in North Dakota. 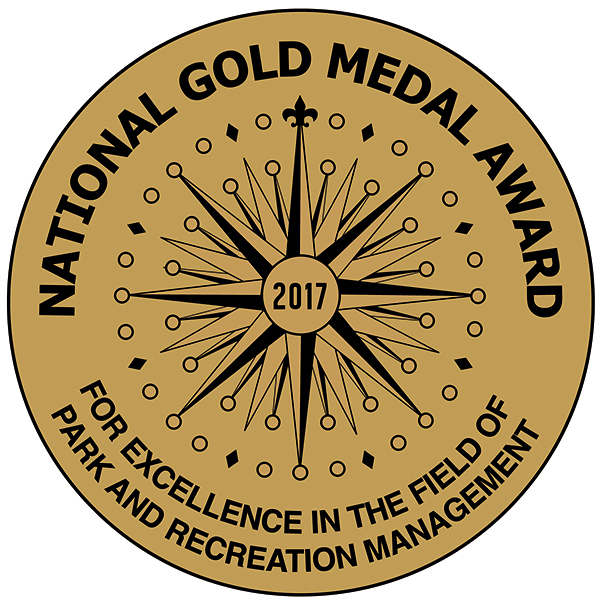 Lynn received the Excellence in Government award during halftime of a North Dakota State University football game, known annually as the Tree Bowl. Lynn plants, cares for and maintains hundreds of new and established tree plantings throughout the BPRD system. It is not uncommon for her to be found watering on weekends and extended workdays to ensure all plants are given appropriate care to make sure they thrive and survive. 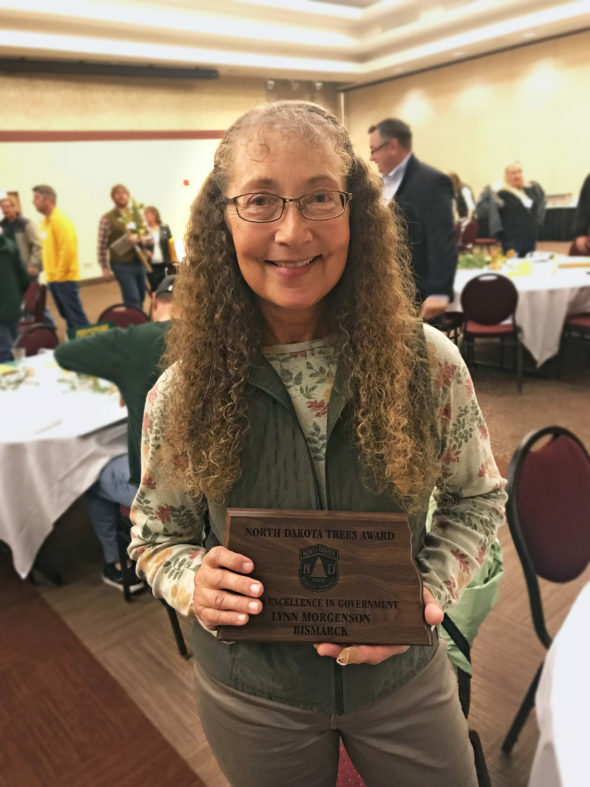 Lynn was also recognized for her part in tree research in North Dakota. She has been instrumental in planting various species of trees in Bismarck’s parks and tracking that data for the North Dakota State University Woody Plants Department. Lynn’s work on this Western Tree Trial plantings project allows BPRD to try a variety of new trees, enhance the beauty and diversity of parks and support tree research. Congratulations to Lynn for receiving this prestigious award.